Forever Summer Reading Tour! I’m so excited to be hosting author, Amy Jarecki! 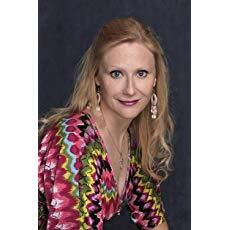 I’m so excited to be sharing not only an author interview with author Amy Jarecki but one awesome giveaway!!! If you’re unfamiliar with Amy Jarecki you are in for a treat!! Her next release ‘The Highland Chieftain’ just made my heart melt and skyrocketed Dunn MacRae to one of my top book boyfriends! What makes a book a “beach read” for you? It has to be good! Books with interesting characters, a splash of humor, and well-developed plots will grab me every time. I have a pool in my backyard. Love fun in the sun without sand in my pants! Usually no more than two. I prefer one, but often I’m editing one while drafting another. In The Highland Chieftain , Dunn and Mairi enjoy wine. I think they might have loved a crisp Riesling. What character from your latest release would you want to hang out with this summer? Lastly, do you have a summer memory that you’d like to share? When I held up the fish and asked him to take it off the hook, I think it took a great deal of restraint not to push me into the lake. I do love getting to know a bit more about authors! Be sure to give Amy our thanks below! Here’s a short bio about Amy and how you can stay in touch with her. 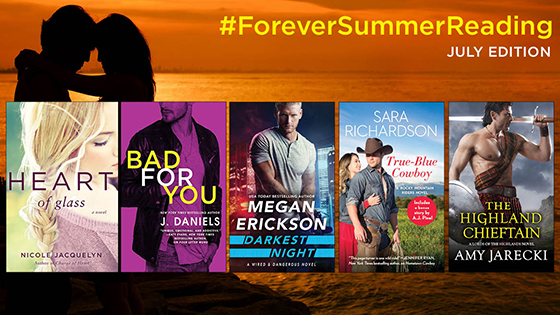 Keep reading to enter for your chance to win FIVE Paperbacks & tote from Forever Romance’s #ForeverSummerReading PLUS info on her next release and a sneak peek at one of Amy’s favorite scenes from The Highland Chieftan! Next post$25 Gift card giveaway to celebrate the release of Chasing Chelsea! Awesome interview, I loved your questions and the answers. Love the Q&A with Amy. Thanks for the giveaway!! Awesome feature. I’m definitely TBR The Highland Chieftain. Thanks for the chance. Thank you! Hope you get a chance to read it! It’s my favorite book of the series. Though they’re all good and swoon worthy! Nice Q&A. Good luck to everyone who entered the giveaway. I can’t as I’m in Italy but lots like a great prize. Jarecki is a new-to-me author! Great interview, I can’t wait to read these. 😀 Thanks for the giveaway! Great interview and giveaway too. Great post and interview I also love getting to now I little bit more about authors as well, thank you so much for the awesome post and giveaway!